Everyone remembers their first baseball game. 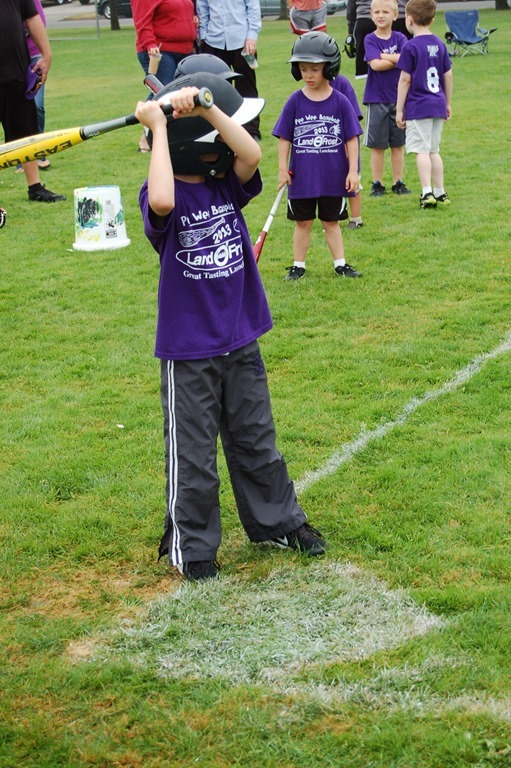 I played left field in my first game when I was a kid. Jimmy Durfy hit a rocket to me. It bounced once, took a bad hop, and hit me square in the teeth, putting two of them through my lower lip. I played with Jimmy on other teams for years after that, but I don’t think I every truly forgave him… like it was his fault. 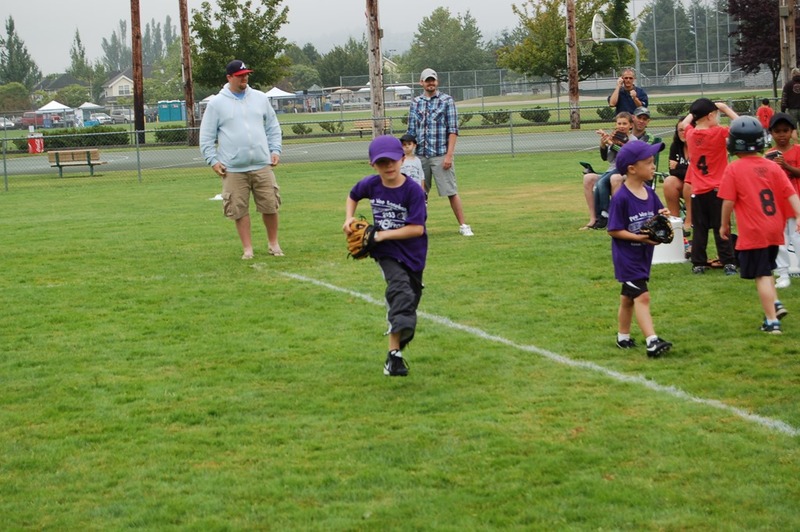 My son played in his first baseball game today, and I dare say the outcome was a lot better. Reece is a baseball nut, wanting to go out three times a day to play catch—which is great except that my body can only handle one or two sessions. He’s a better player now than I was at 10. 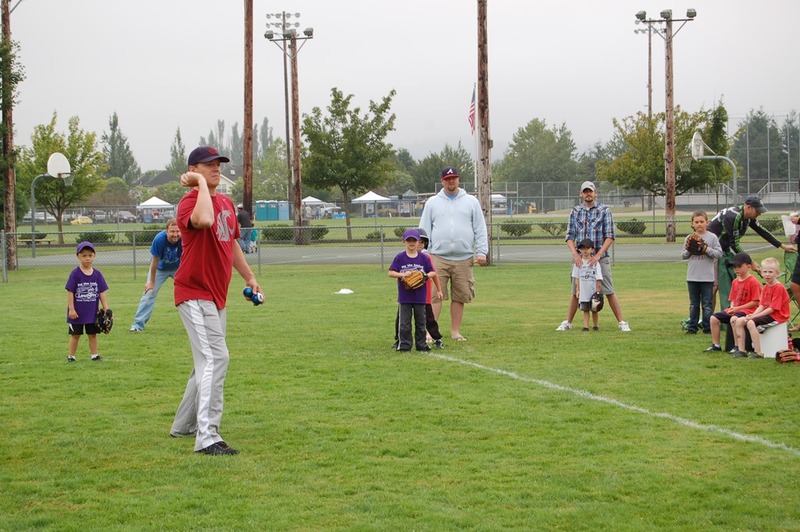 He’s also convinced the fastest way for him to get to the majors is to play college ball now so he can show off his power and throwing / catching skillz. So if anyone knows a major league scout doing the rounds of the 6 and Under leagues, make sure they check out #2 on the Pee-Wee All Stars. He’s ready to sign on the dotted line, and expects to be leading off for the Tigers in 2014. Reece high-fiving the player on the other team who just got a hit. 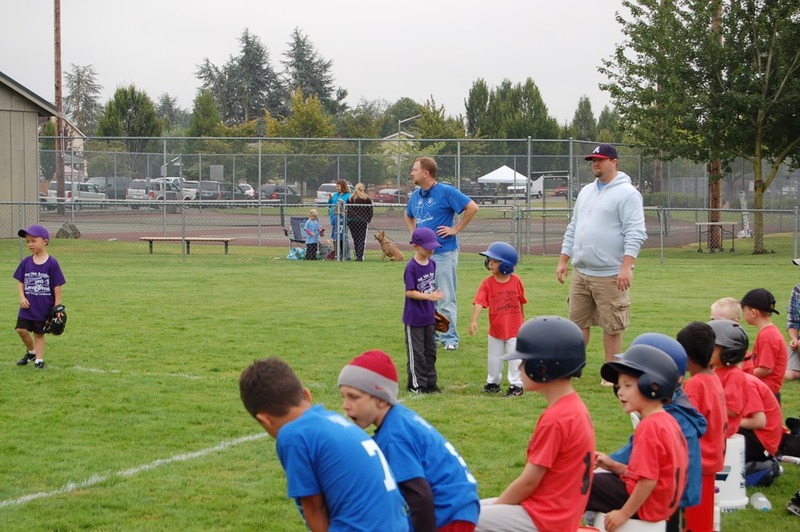 We had to tell him that was great, but he was supposed to wait until the play was over before turning his back to the other kids throwing the ball to him. 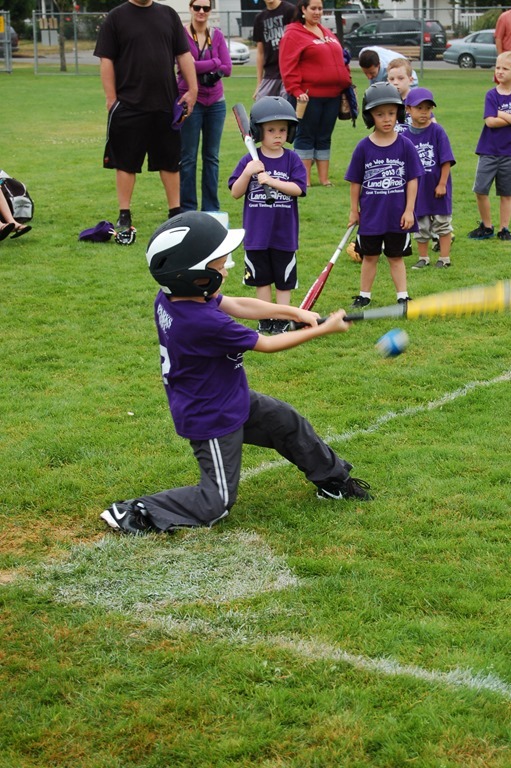 He was a little early on this swing. And a little off balance. But he knocked the cover off the ball in his third at-bat. 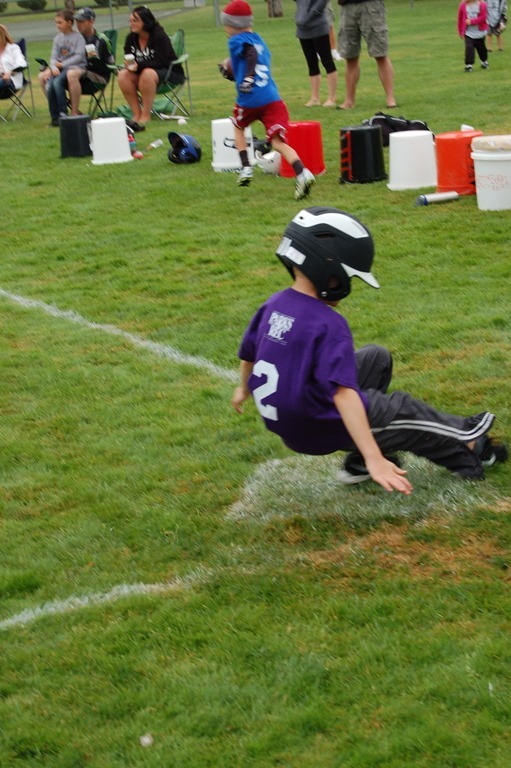 And of course, you need to slide into home.